A month ago, the Sweet Briar community announced its intention to create three “centers of excellence” on which to further its academic distinction over the next five to 10 years. The centers are based on existing advantages that are unique to Sweet Briar. One is a center on “Science and Technology in Society,” capitalizing on the fact that Sweet Briar has one of the very few ABET-accredited engineering programs in an all-women setting, and has always had an excellent STEM program. The other is a center on “Creativity, Design and the Arts,” building on the proximity to the Virginia Center for the Creative Arts, which is one of the nation’s largest residential artist colonies. The last is a center on “Human and Environmental Sustainability” that recognizes the advantage the 3,250 acres of complex natural setting provides for studying not only nature but the human relationship to their surroundings. The center directors will be forming small advisory committees consisting of some faculty and outside experts; design medium to long range plans for their areas that harness and further build on intellectual energy of the faculty and students on grounds; engage in conversation with major foundations and donors alike; and help shape our overall curriculum as it goes through evolution over the next few years. 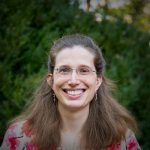 Raina Robeva, professor of mathematical sciences, will lead the center on “Science and Technology in Society.” Her research interests span a wide range of topics including systems biology, random processes and fields and mathematical modeling. Her research and educational initiatives have been funded by the National Science Foundation and the National Institutes of Health, among others. Her translational research has resulted in three U.S. patents for quantitative assessment and diagnosis of attentional impairments. 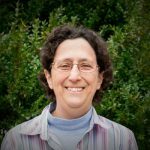 A prolific researcher, she is author and editor of three books on biomathematics, all published by Elsevier; the fourth on algebraic and combinatorial computational biology is forthcoming in 2018. Carrie Brown will direct the Center on “Creativity, Design and the Arts.” A graduate of Brown University and the University of Virginia, she began her professional life as a journalist before turning to writing fiction. 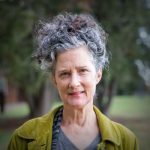 She is the author of eight books — seven novels and a collection of short stories — and has just finished a new novel, “Hector in the Promised Land.” She has taught creative writing for many years, including at Hollins University, where she was Distinguished Visiting Professor of Creative Writing. She has won numerous awards, including a National Endowment for the Arts fellowship, the Barnes and Noble Discover Award, the Janet Heidinger Kafka Prize for work by an American woman writer, the Great Lakes Book Award, as well as, twice, the Library of Virginia Award for the best work of fiction by a Virginia author. This past weekend she was recognized again by the Library of Virginia with the People’s Choice Award in fiction. The Center on “Human and Environmental Sustainability” will have two co-directors. Bethany Brinkman, associate professor of engineering, specializes in environmental engineering. She is a superlative teacher, focusing on project-oriented learning while encouraging creativity and problem-solving skills. She has actively collaborated with other departments — mathematics, art history and business — to emphasize the mutually supportive relationship between engineering and the liberal arts. She also has significant experience in the private sector, having worked as environmental engineer at HDR Engineering in Minneapolis. Linda Fink, Dorys McConnell Duberg Professor of Ecology and director of the environmental science program, will co-direct the program along with Professor Brinkman. Her research and teaching focus on ecology, conservation and animal behavior. She is a recipient of several grants from the National Science Foundation. 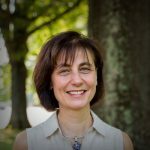 Her dedication and service to Sweet Briar are widely appreciated, for her work as an elected faculty leader as well as for her advisory role on campus land use and environmental issues. I am looking very much forward to working with them, as I am sure you are.